The Swedes have issued a civil defence pamphlet to each of its 4.8 million households, titled ‘Om krisen eller kriget kommer’ (‘If crisis or war comes’). In recent years Sweden has decided to double its defence budget, rising from 53 billion kronor (AU$9.8 billion) to around 115 billion kronor (AU$17.5 billion) by 2035. 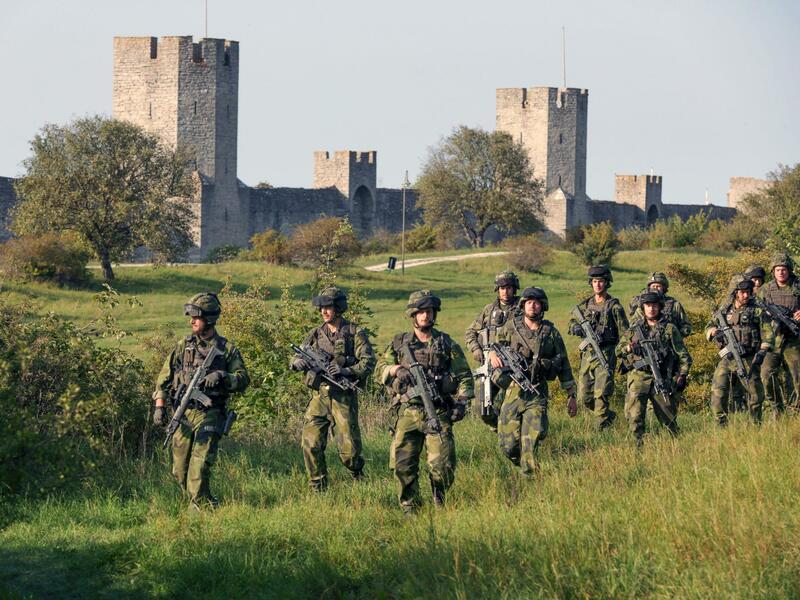 In January, it reintroduced conscription and in September last year, amidst its largest military exercise in 23 years, Sweden restored the garrison on the Baltic island of Gotland. Ms Nyh Radebo, a defence ministry spokeswoman, said the return to conscription was prompted by ‘the security change in our neighbourhood’. Towns have been instructed to dust off their civil defence documents and inspect and upgrade the old cold war bunkers. Denmark and Sweden have agreed to boost defence ties to fight Russian cyber-attacks, and negotiations have been conducted to purchase the Patriot missile system from the United States. ‘…What was unthinkable five years ago is no longer unthinkable’ said Martin Kragh, from the Swedish Institute of International Affairs. The civil defence pamphlet is unequivocal in its instruction to the Swedes. ‘If we are attacked’, it says, ‘we will never give up. All information to the effect that resistance is to cease is false. The issuing of such a pamphlet is a measure the Swedes haven’t felt necessary since the darkest days of the Cold War. Throughout the 20th and 21st Century, they’ve stuck firmly by their policy of ‘armed neutrality’, avoiding involvement in any serious military conflict since 1814. Internationally, their defence posture has been benign. They possess no nuclear weapons and they have disavowed chemical and biological warfare. The most dangerous mission Swedish troops have been involved in has been keeping the peace. And yet, this latest rumour of war, made ever ominous by the conduct of their neighbour, Russia, has forced a rethink about the unimaginable by senior government and defence planners. RUMOURS OF WARS: Trump warns Russia to prepare for missile strike in Syria!